We are a team of passionate educators from Young Nautilus that started in 2015. Our academic background in life sciences, marine biology, natural environment, biodiversity and conservation have shaped our interest and excitement in educating the next generation! We love to impart knowledge and experiences that allow children to have experiential learning from the things they have learned in the classroom. As many kids are taught in the classroom but lack the outdoor experience to have a holistic learning journey, Young Nautilus seeks to fill in this gap by providing the expertise in these natural environments, allowing kids to better learn and excel in science. Most of our educators developed the interest and passion for nature since a young age, exploring and learning about animals, plants and science. 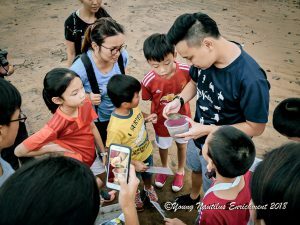 Just like the many educators that taught us and inspired our passion for nature during our young age, we too wish to inspire and teach the young ones about science. Many of us get really excited when we find rare biodiversity during our intertidal programmes and we can’t stop teaching and sharing it with our participants! We strive to make these passionate learning sessions memorable for the children, be it academically or deciding on a career path as biologists or scientists when they grow up! Majority of Young Nautilus educators were definitely the curious, inquisitive students back during our school days, always asking questions and seeking to find out more about science. As a result of the interest in science, we can get a bit geeky amongst ourselves when we discuss biodiversity and science! Looking back, it was definitely this curious learning attitude that led us to become aspiring educators. 4. How do you reinvent yourself and what motivates you? 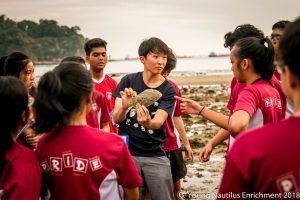 Here at Young Nautilus, we are constantly developing and customising new programmes to better fit the learning requirements of Singapore’s school children, keeping their learning objective in-line with MOE’s syllabus and teaching pedagogy. Our motivation and most rewarding part of what we do is to see children develop an interest in science through the exposure and hands-on experience that Young Nautilus was able to provide them with. The best advice I ever received was from my professor back in university, she explained how teaching was not about students getting the answers but about guiding them along, prompting the right questions so that they will be able to find the answers on their own. Constantly developing and improving pedagogy and knowledge to better educate and engage the future generations in learning. 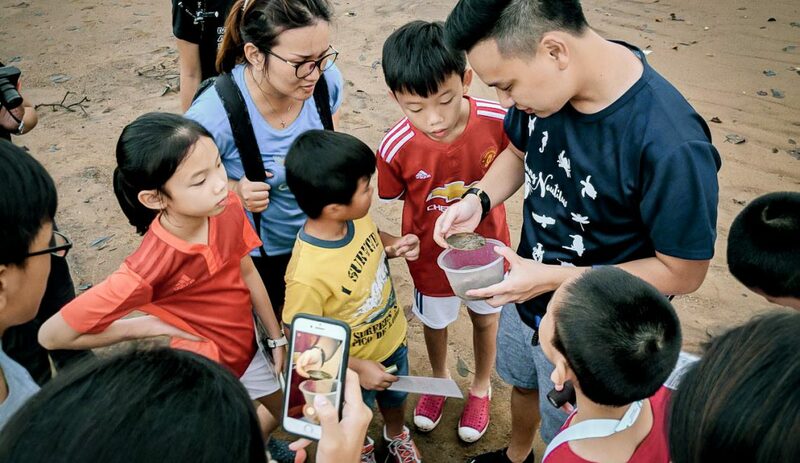 To see children come for our programmes and develop an interest in nature and science, engaging in questions and inquiring not only just knowledge but also inspiration to enter the industry as biologists or scientists. 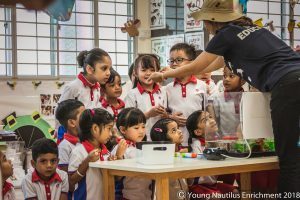 By nurturing and inspiring the next generation of scientists that will carry on scientific research, conservation and development of biodiversity in Singapore, Young Nautilus hopes that our educational programmes will value add to the education that Singapore can provide to the young generation.